Factory off-road kit makes the luxury pickup more rugged than ever before without compromising the ride and comfort. When people learn I write car reviews, they usually ask one of two questions. First, "What is you favorite car?" That's impossible to answer because all vehicles are designed to meet different needs, and, while I might think a certain sedan or SUV is better than another, I can't honestly say any particular model is my all-time favorite. The second most frequent question is, "Why are new trucks so expensive?" That's usually asked by someone who hasn't bought a new truck in 20 years, if ever, and it shows they haven't kept up with how much trucks have been evolving. The simple answer is, "Because they're so much better." That's undeniable when it comes to such objective standards as ride quality, fuel economy, towing capacity, and safety systems. But what the person asking the question really means is, "When did trucks start competing against luxury cars?" Base models of all trucks are still very reasonably priced. The ones with the price tags you notice are the high end models, which really are as quiet, comfortable and loaded with advanced automotive technologies as the most expensive cars. 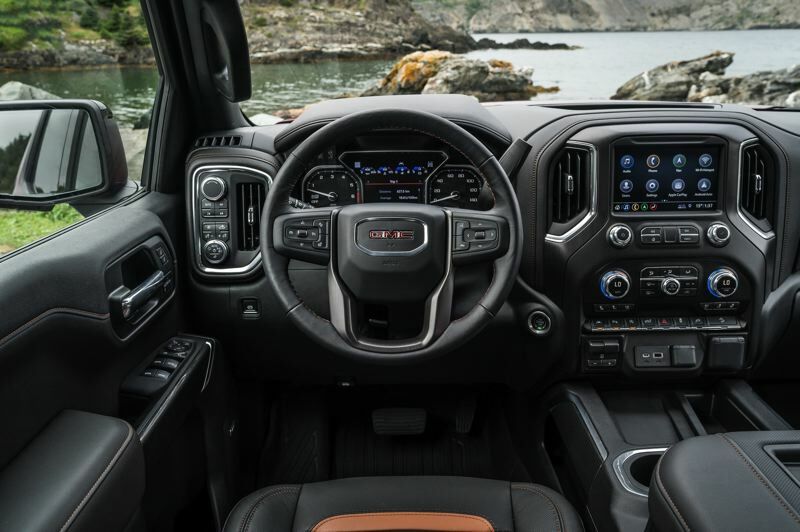 A case in point is the 2019 GMC Sierra Denali 1500 4WD Crew Cab AT4, the subject of this week's review. It's especially fitting because GMC practically invented the luxury truck mark in 1975 with an upscale model of the Sierra marketed as the Gentleman Jim. 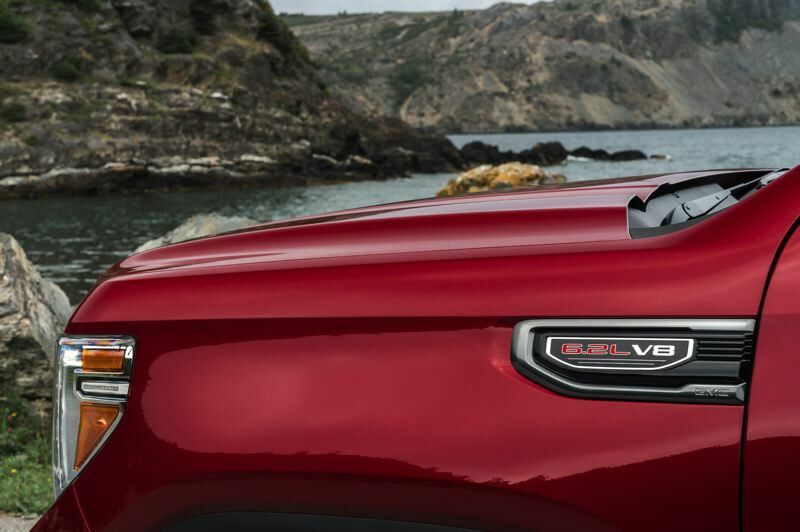 The Sierra 1500 is GMC's full size light duty pickup. The base model has a regular two-door cab, two-wheel-drive, and a 4.3-liter V6 engine. It includes a wide range of standard equipment and starts at around $30,000, which is a good price for a serious truck that can be worked hard. 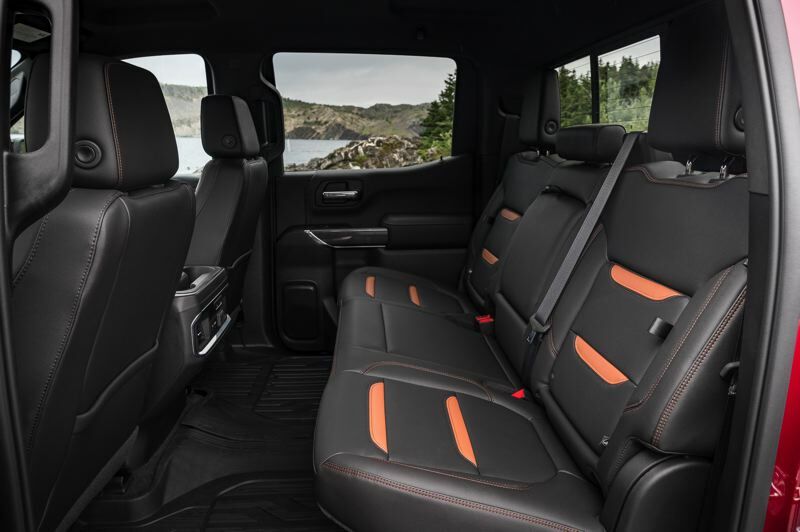 But the Sierra is also available in a number of different configurations and trim levels, including Crew Cab models that can easily carry five adults in comfort and Denali, which is the ultimate expression of professional grade. All are available with four-wheel-drive drive and different engine choices. The AT4 is a trim level that includes 4WD and a factory 2-inch lift kit and a set of Bridgestone Dueler A/Ts on 20-inch wheels, a mild off-road tire that should be able snow-covered roads, too. It also includes a custom black and brown leather interior. 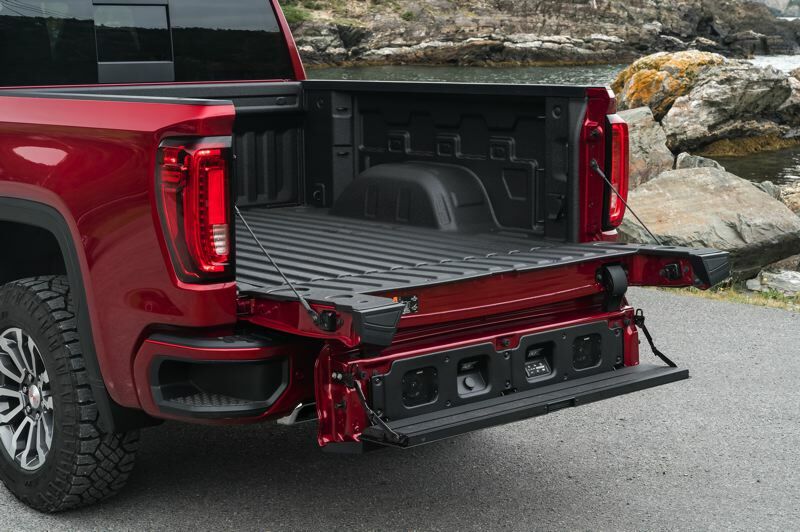 And it comes with GMC's unique MultiPro tailgate that can be configured as a step and work bench, something no other truck offers. 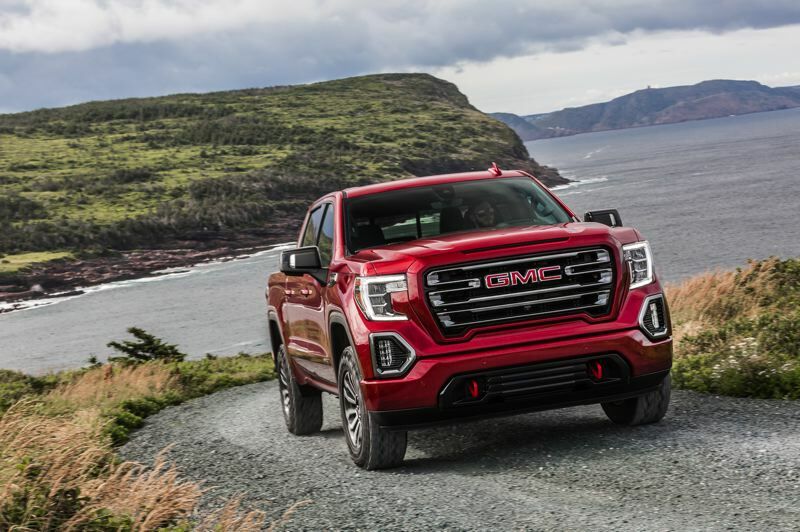 Altogether, my test truck was priced at just under $65,000, which might sound like a lot for a truck, but is actually less than many luxury cars — and the 2019 GMC Sierra Denali 1500 4WD Crew Cab AT4 is a lot more vehicle for the money. It's powered by a 6.2-liter V8 that produces 420 porsepower and 460 foot pounds of torque, which is mated to a 10-speed automotic transmission that always seems to be in the right gear. During a week of daily driving that included heavy rains and the first icy roads of the season, the Sierra was nothing short of awe inspiring, with a surprisingly stable ride for an unloaded truck and a commanding view of the surroundings that made even driving on dark, wet freeways a breeze. The safety systems warned when vehicles were slowing quickly ahead, and even when other vehicles were getting too close in parking lots. The downside, of course, was the sheer size of the truck, which required running boards to enter and exit gracefully. Downtown driving was easier than expected, thanks to the responsive steering, but parallel parking called for a large space. And, yes, the big V8 only averages 17 miles per gallon, but that's a lot better than such engines from just a few years ago. But on balance, it's easy to see why so many buyers are choosing large trucks and SUVs these days, especially with gas prices continuing to be so relatively low. Even if I didn't actually "need" the 2019 Sierra Denali 1500 4WD Crew Cab AT4, I appreciated everything GMC has done with it.